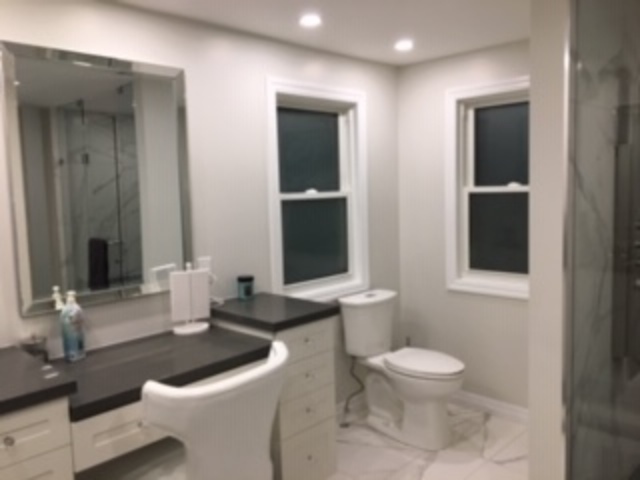 We just finished our ensuite bathroom renovation and couldn't be more pleased! QEW Contracting was professional from start to finish. Paulo and George were so friendly and perfectionists about the quality of their work. The communication was outstanding - we always knew which trade was coming on what day. Thank you to Savario and the rest of the team for taking such good care of us and providing us with a bathroom that we want to live in! 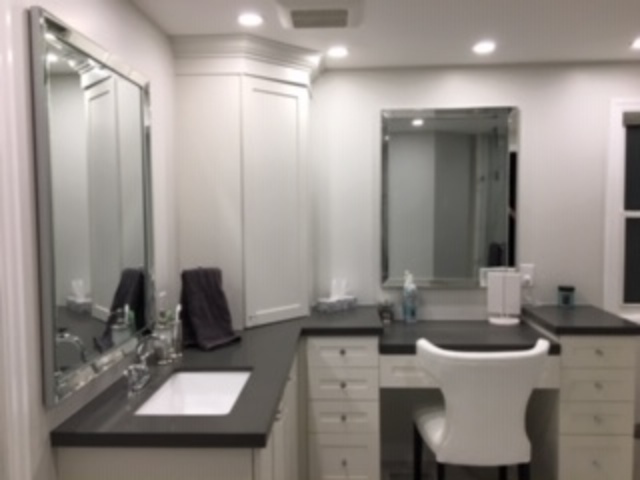 The custom vanity will provide us with extra storage for years. Hi Mr. and Mrs. G.
Thank you for your review on our work. We are very pleased to hear that you are very happy with the overall results of our services. I will also pass on your kind compliments to Jorge and Pablo. We hope we can do more work with you in the near future. It was our pleasure to work with the two of you. Thank you for your review. I am happy you are satisfied with the work we did on your deck and ramp and that this has helped your husband with his mobility requirements. I spoke to Paul on Monday November 12th and he told me that the handrail was installed that same day. Thank you for the opportunity to work with you and your husband. After multiple quotes and interviews with the most highly rated contractors, Savario was the only one who seem to understand our requirements and helped us achieve what we had in mind within our budgets. His team delivered on time, the job was finished in the time frame promised, quality is unmatched and end result beyond our expectations. Best of all, didn't have to worry about clean up. Every day we got home from work, it did not look like a messy construction site. His crew was even so careful as to replant the garden they had to move and made sure they kept the plants watered regularly so they didn't die. Customer service we received would get a 100 out of 10. Thank you for such an awesome job done Savario! I met with Severio in January of this year, told him what I want done and what I could afford, he came back with a quote and drawings! He took my vision and made it come true!!!! I cannot express enough how grateful I am to him and his crew! I had no drama and they finished on time!!! I have a beautiful kitchen that I will enjoy for years to come!!! Thank you also to New Image Kitchen great job! Any concerns I had Severio addressed them and kept me informed! I think I talked to him more than my husband!!! There is nothing that I don't love, the tiles, the cupboards, the backsplash everything looks fabulous!!! I would highly recommend him and his crew! They made the reno painless!!!!! 10 Stars from me!!! It has been a true pleasure serving you. QEW takes pride in giving priority to their customers and looking after their needs and wishes. Quality and customer service are what distinguish us from others. We always strive to exceed our customer's expectations and meet their requirements. If there is anything else we can do for you, please let us know. We also truly appreciate your review. It's what keeps us improving. PS: I will also pass on your feedback to our crew who were instrumental in building your new kitchen. QEW did such a great job of landscaping outside our home that we invited them indoors to do a makeover there as well. Very reliable. First quality work. Helped with design as well. Thank you so very much for the positive review. You and Allen were great to work with. We look forward to working with you in the future for any projects you may have! Again, thank you for taking the time to share your experience with QEW Contracting. Please give "Peaches" a hug from me. My husband was recently in an accident causing us to have to purchase a new home. It proved challenging with the home market at a high at the time. However we were able to locate a ranch style bungalow in our preferred location. The property was in need of a full renovation for wheelchair accessibility, therefore enters Saverio and his team. We tied in an accessibility resource to assist with some of the required functionalities and equipments to accommodate a person using a wheelchair. Doing a new renovation for accessibility is challenging on its own, add in the guidelines and licence requirements make it even more so. But Saverio was on site on a daily basis working with his team to ensure all was running smoothly. Due to time constraint, Saverio made solid recommendations to make sure we were happy with the work. 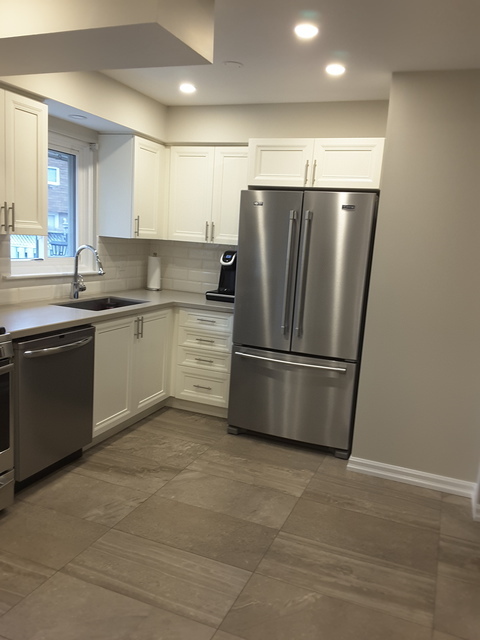 Full renovation entailed restructuring of the whole house for easier access to and in the house taking into account specific turning radius - spacious bedroom with ceiling tracks and other equipments, accessible bathroom, door openers, lifts in backyard and garage, ramp within city guideline. Open concept for easy navigation in the house. Backyard Deck and Landscape. Awning on front porch to offer shelter from sun, wind and rain. The house is beautiful and peaceful. Set up is just what the family needs to heal after a trauma. A big Thank You to Saverio and the team. We will be spending our first Christmas in the house this year and my family cannot be happier. I just wanted you to know that we truly enjoyed working with you and Chris and feel deeply honoured to have been your general contractor. It was a privilege to have the opportunity to renovate your home for wheelchair accessibility. My team and I learned so much from working on your project. The team will remember your project for a long time to come because of how nicely they were treated, how appreciated they felt and what new things they learned about accessibility and home modifications. We truly look forward to continuing our relationship with you and Chris in the future, and should you have any questions about the work that was completed, please do not hesitate to call me. We truly hope that you and Chris and the family enjoy their first Christmas in your new home. Again, thank you for your review. All the best and many blessings for now and the future to you and your family. Front porch encloseure done, stone work on steps,walkway,flowerbed,side of garage new patio door and window done at back of house. They did such a good job workers were very pleasant very morning and on time.Cleaned up after each and every day after day was done.So pleased with the work that was done. Once again, Saverio and his tradesmen have wowed us with their professionalism, skill, attention to detail and pride of workmanship. Our two newly renovated bathrooms are amazing and perfect down to the smallest detail. Thank you Saverio for facilitating these two renos. You have such talented men working for you. The tiling done in these two rooms by Jorge is nothing short of stunning. Pablo worked non stop and everything he did, he did to perfection. Saverio, we will recommend you to friends and family without reservation and you are our "go to" for future projects. Thank you for your fantastic and positive feedback. We try very hard to give all of our customers a perfect experience and appreciate the opportunity to provide excellent service. 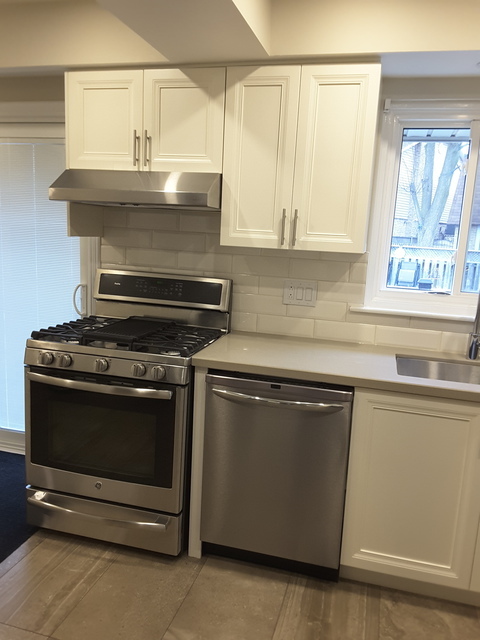 Your review has put a smile on all of our faces here at QEW Contracting Ltd. Again thank you for taking the time to share your feedback and also allowing us the opportunity to work on your important renovations. The workmanship was great. The men were respectful, punctual, and always cleaned up at the end of the day. Good job, Good company and they were a pleasure to work with. Thanks for taking the time to share such a great review! Reviews like yours are very gratifying to read! Thank you for taking the time to share. We have dealt with firms such as QEW before and we are very impressed with the quality and services they provided. QEW operates as a general contractor and uses top quality sub-contractors who really know what they are doing. This way cabinets are measured, manufactured and installed professionally. The electrical work is done by an electrician. The painting is done by professional painters, etc. QEW personnel stay on top of the project along the way and when we wanted to make some changes, there was no problem. We are very pleased with the results and the comments from friends and family are all extremely positive! We truly appreciate your business and are grateful for the trust you had placed in renovating your kitchen and installing new siding. We were privileged to have the opportunity to serve you and we greatly appreciate your business. We look forward to continuing our relationship with you in the future, and should you have any suggestions how we can serve you better, please do not hesitate to drop us a note or call. Again, thanks so much for choosing QEW Contracting. Let us know if there is anything we can ever do to assist your further. Q.E.W. 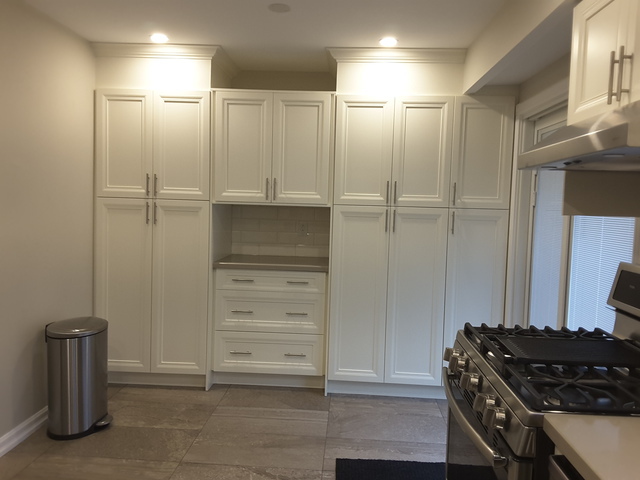 Contracting Ltd. is well known in the greater Toronto area and has a great reputation as a quality builder. High quality workmanship is very important to us, no shortcuts are taken that will compromise the end result. We are responsible for your final product and as our history has shown, we look after and service what we build. Your Home is your greatest asset. 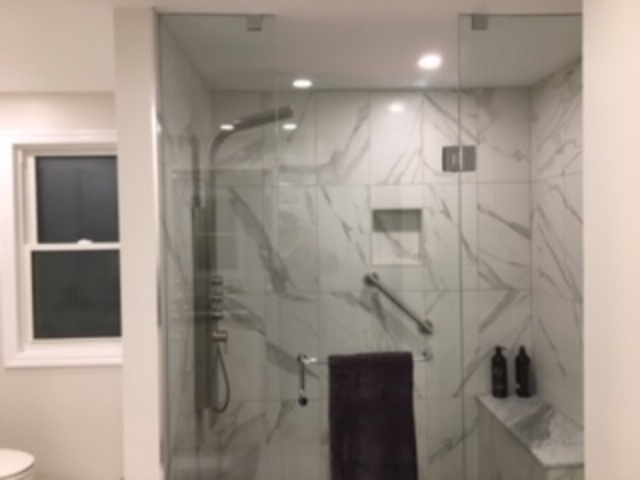 Our clients expect the highest level of personal attention and the finest quality construction delivered on time and for a price that undercuts the competition. We make it our business to exceed our customer's expectations with over 30 years of experience. With careful planning and the assistance of Q.E.W. Contracting Ltd., most untapped spaces can be turned into attractive, comfortable living areas. Whatever the home improvement or renovation project you may have, Q.E.W. Contracting Ltd. will execute your need with a professional design. Other Services Q.E.W. Contracting provides: - Painting. - Railings. - Asphalt driveways. - Plumbing: rough-ins, toilet, vanity, shower control(all work done by a licensed plumber). - Seamless glass enclousres. - Garages. - Electrical: re-wire, pot lights, ceiling fans, electrical panels, outlets/switches (all work done by a licenced electrician). - Awnings. - Shingled roofing. - Tiling (kitchen, bathroom, laundry room, etc.). - Flooring installation (ceramic tiles, hardwood, laminate, engineered wood, carpeting). - Drywall. - HVAC: fireplace installations. - Carpentry: trim, baseboards, casings, custom millwork, etc. Q.E.W. 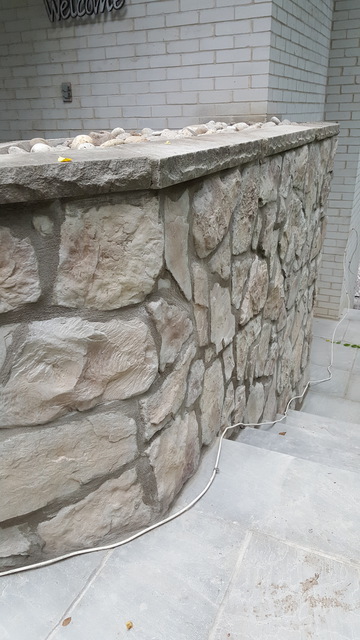 Contracting specializes in the following: - All types of natural stone: walkways, porch/stair overlays, patios, pool surrounds. 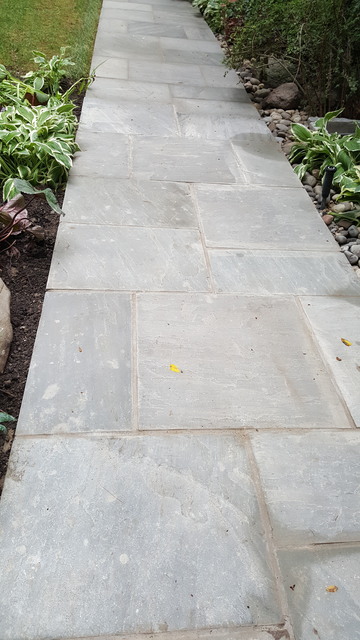 - Natural flagstone repairs. - Partial or total kitchen, bathroom and basement renovations. - Eavestrough, soffits, fascia, leaf guards and siding. - Replacement doors and windows. - Waterproofing (interior/exterior). Seasonal Specialities: - Patio rebuilding. - Interlock and paver stones. - Retaining garden walls. 5 Years on all flagstone projects.